The winter drive to Fort Wainwright can be a tough one – especially if you’re in the wrong car. Finding the right vehicle, with the perfect balance of style, handling, and features is easy, however, when you browse the new Chevrolet inventory at Chevrolet Buick GMC of Fairbanks. Look below to see which vehicles we think are the best match for Alaska winter driving. 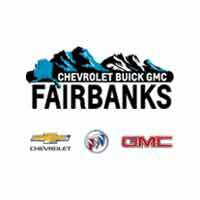 Why Buy a New Chevrolet in Fairbanks, AK? Chevrolet Trax: A compact crossover with available AWD and impressive fuel efficiency that makes it the ideal option for commuters and a favorite of critics. Chevy Silverado 1500: Whether you choose the standard or crew cab trim, the Silverado delivers with best-in-class V8 horsepower, fuel economy, and towing, making it a North Pole triple threat. Plus, there are plenty of fun colors and accessories from which to choose. Chevy Equinox: Now with an available turbodiesel engine, optional AWD, and 20 active safety features, the Equinox is here to handle the tough stuff. Whether you choose one of our rugged SUVs or trucks or you decide that a compact car is right for you, you’ll find access to the tools you need to research your vehicle, find affordable financing, and service your new investment at Chevrolet Buick GMC of Fairbanks. Contact us today to get started.